Thomas & Betts Carlon® Non-metallic coupling end expansion fitting of trade size 1-1/4-inches, helps in compensating length changes due to temperature variations in exposed conduit runs. It is suitable for use with rigid non-metallic conduit. 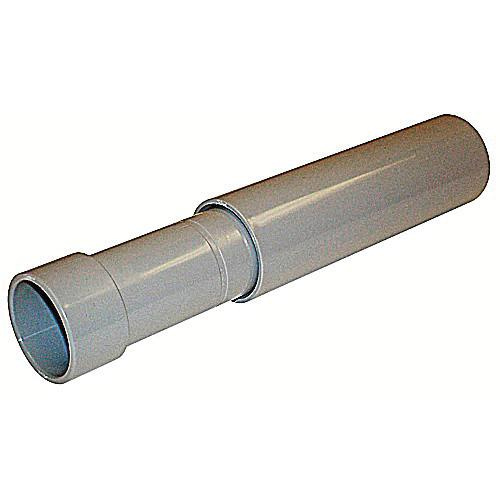 Expansion fitting in gray color, has PVC construction. It measures 2.04-Inch OD x 4-Inch. The schedule 40/80 expansion fitting comes with female socket connection. It has 2-Piece molded design with lubricated seals to ensure easier movement. Fitting comes with two O-rings to prevent leakage.